Brussels sprouts possess a delicate nutty flavor and are a good source of vitamin A, vitamin C, folic acid and fiber. In this recipe that I adapted from Michel Nischan, Food and Wine, March 2007, I modified it by just soaking the cranberries in water rather than using an off-dry Riesling. 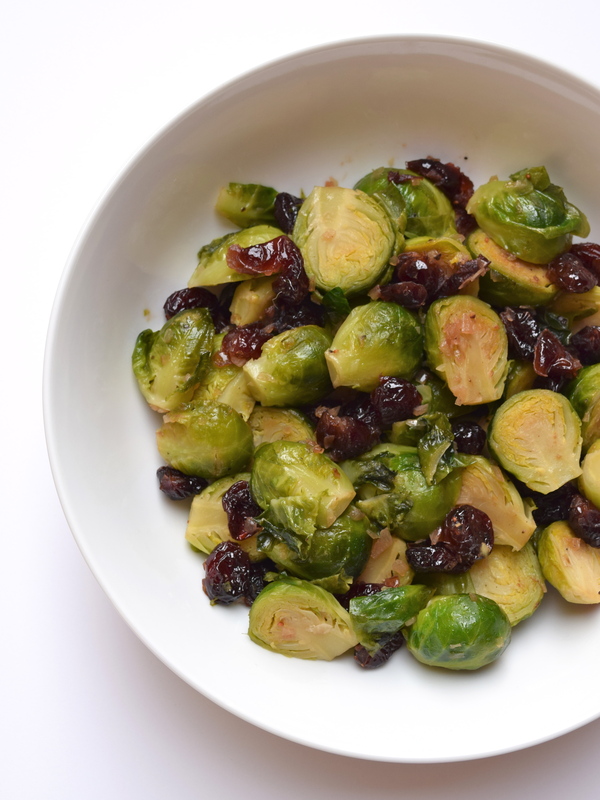 The cranberries not only add color to this dish, but also adds a “sweet-tart” taste to the sprouts! Place dried cranberries and ½ cup water in a small bowl and heat in microwave for 1 minute. Remove from microwave and let it sit for 10 minutes. Drain and set aside. In a 10″ nonstick frying pan, heat oil over low heat. Add shallots and cook for about 2 minutes, until tender. Over medium heat, add Brussels sprouts and cook for about 2 minutes, until sprouts are bright green. Add cranberries and ¾ cup water. Season with salt and pepper to taste. Cover pan and continue to cook for 10 minutes over medium heat, until sprouts are tender. Uncover pan and continue to cook until water has evaporated. Add butter and serve immediately. Serves 4.